When you download our Canadian biotechnology mailing list, you can start networking with professionals in the biotech industry right away. This Canada biotech email database will get your marketing message across to Canadian executives and engineers who are at the forefront of scientific research. 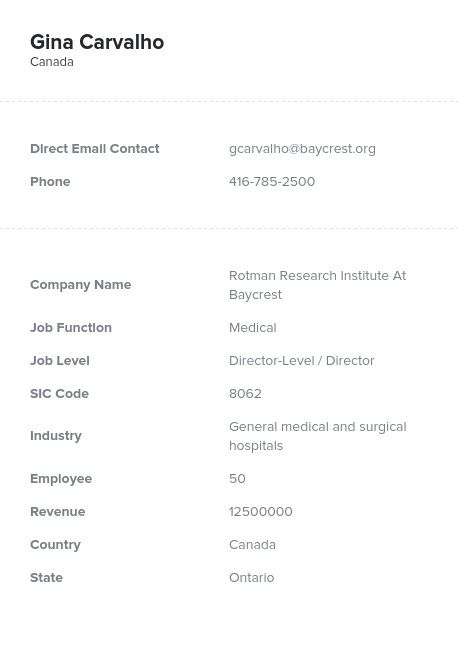 Bookyourdata.com's Canadian biotechnology industry email list is a valuable resource when making B2B connections in this pioneering field. If you have a product or service that would be useful to those involved in cutting-edge scientific research, the potential sales leads in our Canada biotech business database can help you spread the word quickly and easily. Who knows? Your product could be used in the next big scientific breakthrough! When you purchase this Canadian biotechnology email database, you'll receive real, verified contact information of the people who make big buying decisions at the top biotechnological firms in Canada, including their names, company details, postal addresses, email addresses, phone numbers, and more, so whether you'd rather email leads, call, or conduct a B2B marketing campaign by mail, you'll have everything you need in this one consolidated business database. For a more targeted approach, rather than buying a pre-built list, you might want to use our custom list-builder tool. With it, you can create a Canadian biotech email list that only includes the largest companies, for instance, or only sales leads in Manitoba. Regardless of which data product you choose, our pre-built lists or want to build your own, you can rest assured that you'll get only high-quality, premium contacts from Bookyourdata.com.